Item # 311505 Stash Points: 4,495 (?) This is the number of points you get in The Zumiez Stash for purchasing this item. Stash points are redeemable for exclusive rewards only available to Zumiez Stash members. To redeem your points check out the rewards catalog on thestash.zumiez.com. 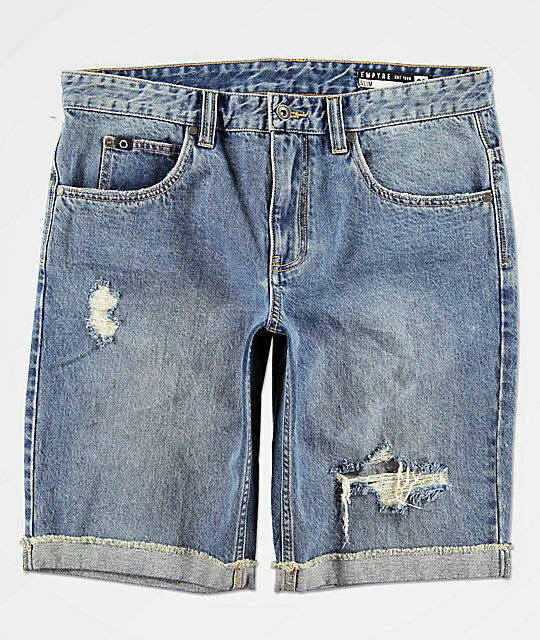 Give your summer fashion some classic style with a pair of Empyre Albany Blue Destroyed Denim Shorts. 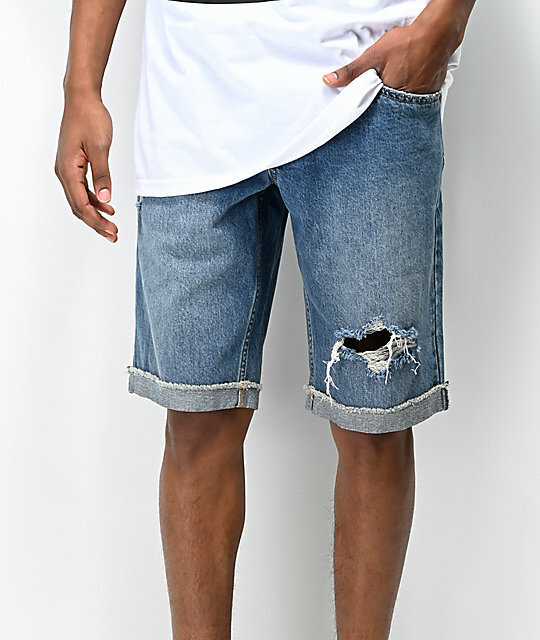 Featuring distressing throughout and cuffed leg opening, these shorts add some touches of fashion-forward appeal. 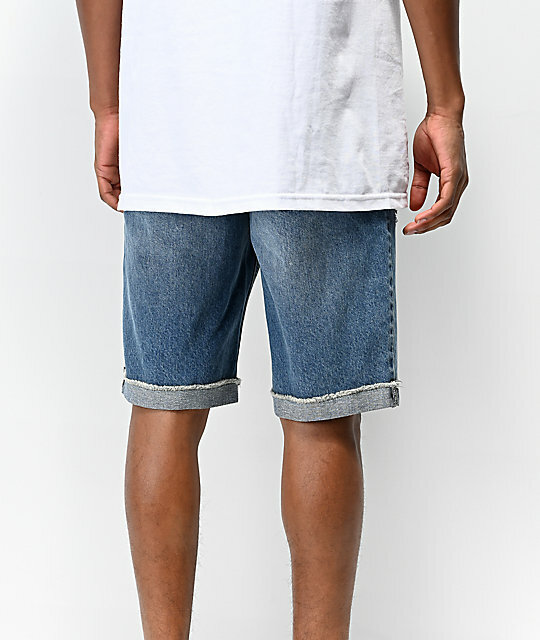 Constructed with a classic five pocket configuration for storage and Empyre brand detailing throughout, these shorts are a must have for all your favorite summer looks. 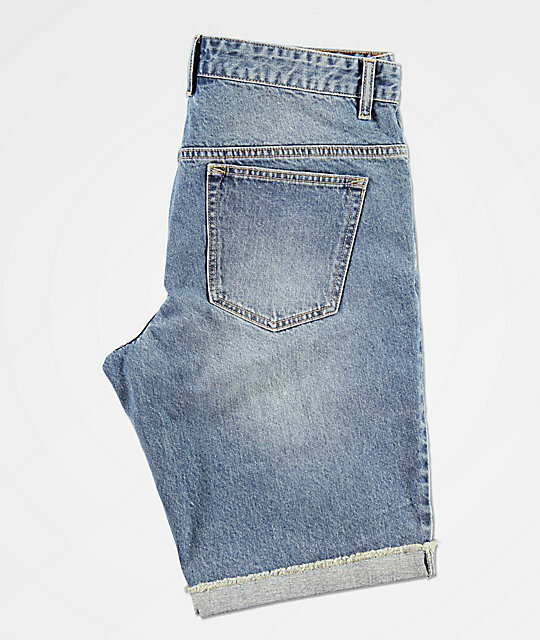 Albany Blue Destroyed Denim Shorts from Empyre. Light fading and wiskering at front.